Seville ‘Seveeya’ is a city where typical Spanish-esque imagery and Hispanic cliché’s come to life. A genuine city of flamenco, fiestas, siestas and fiery Hispanic passion. The city is lustrously painted with its elegant Arabian heritage and dramatic roman history. Average summer temperatures reach 35°C and rain falls less than 80 days a year but there’s more to this city than sunshine and pretty buildings. 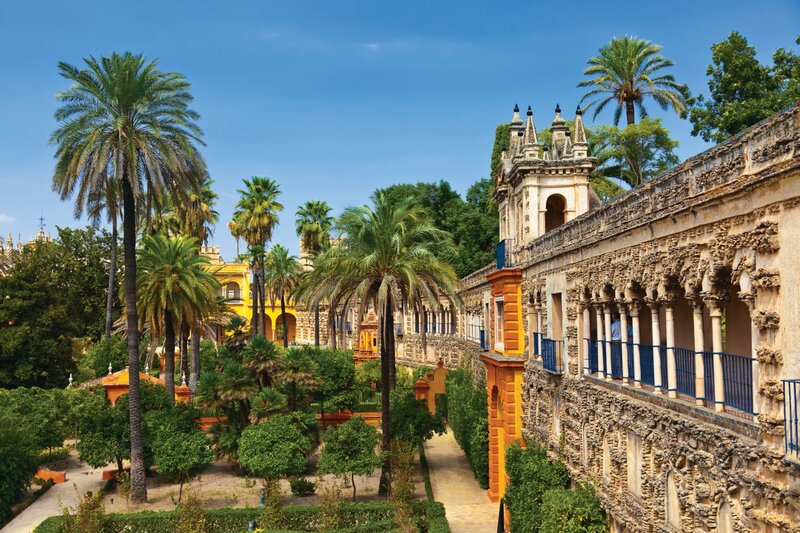 Here are 10 interesting facts you may not know about the city of Seville. Seville is home to some well-known scenes in big films. The classic 1962 Lawrence of Arabia was filmed in locations across the city, you will recognise ‘The officers club in Cairo’, ‘Jerusalem’ and the ‘Council chamber’; the Hotel Alfonso also makes its appearance in the film and you can stay here on a city break to Seville. More recently the ‘Kingdom of Dorne’ from Game of Thrones made their home in this Arabian-esque city. If that’s not enough you can walk in the shoes of Natalie Portman and Hayden Christensen in the Plaza de Espana as part of the film Star Wars Episode II: Attack of the clones. Many Spanish regions individually claim to be the birthplace of Tapas, arguably Seville holds the strongest claim. 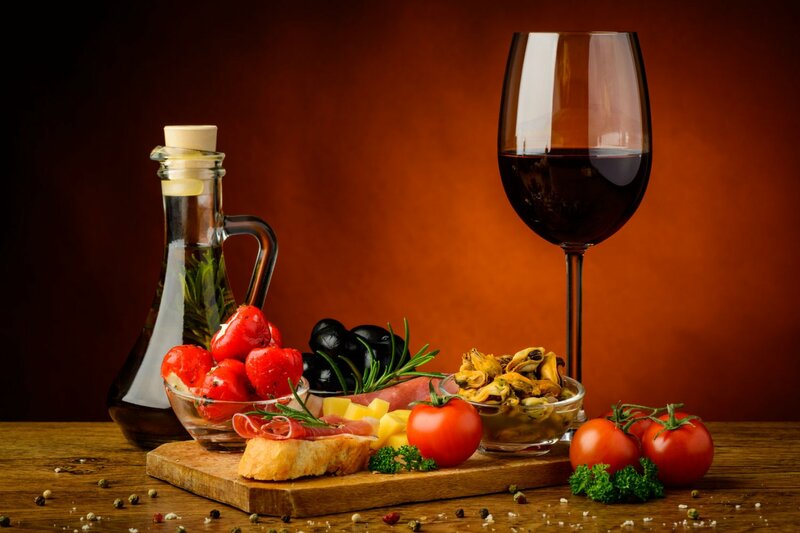 Derived from the Spanish term ‘to cover’ or ‘top’, the cuisine originated with thin slices of bread and meat that Andalusian sherry drinkers used to cover their glasses between sips. It developed in to a variety of snacks to complement the sherry until eventually the food became more important than the sherry. 3. Home to some of Spain’s best Fiestas! Home to some of Europe’s most colourful festivals and Feria de Abril fall within two weeks of each other. Festival Semana Santa is a hugely holy festival in Seville, the streets come alive with processions to commemorate the passion of Christ. Usually taking place a week before Easter it is a major celebration in Spain. 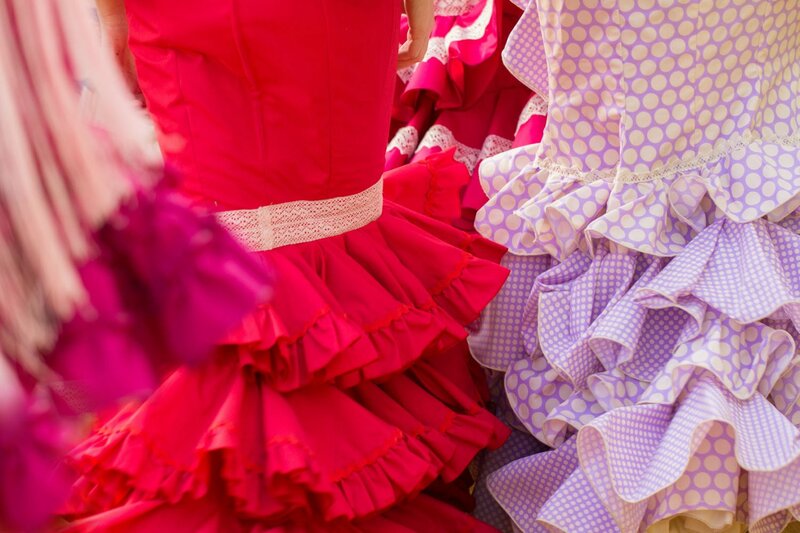 Two weeks later the city hosts Feria de Abril a week long spring fair with dancing, drinking, eating and socialising. 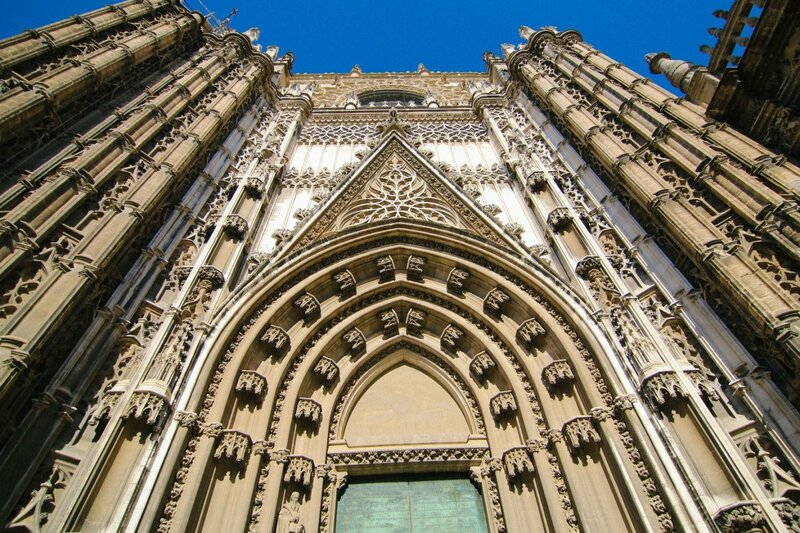 The impressive Seville Cathedral is one of the largest in the world. After his death in 1506 Columbus was buried first in Valladolid Spain, then taken to Monasterio La Cartuja in Sevilla. The remains were again moved to what is now the Dominican Republic before Spain lost control and was moved to Havana Cuba before returning to rest in Seville after Cuban independence in 1898. 5. 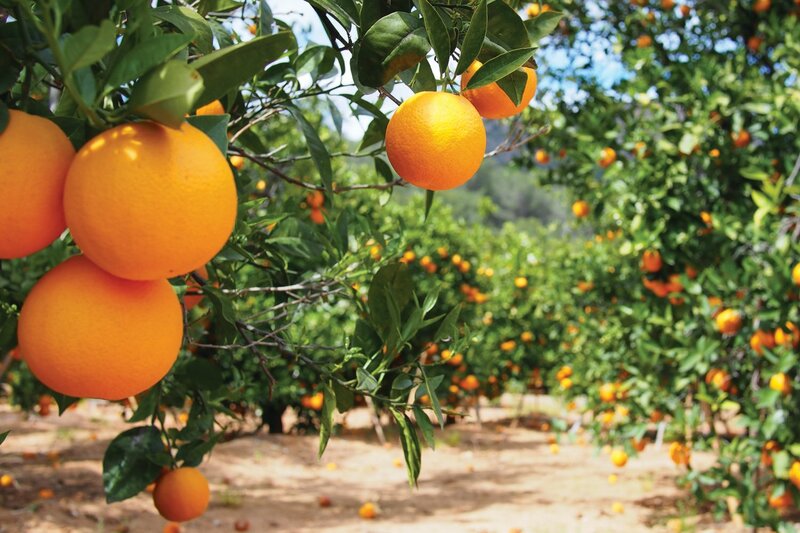 Origin of Seville oranges! A bitter orange high in vitamin C and perfect for making marmalade. 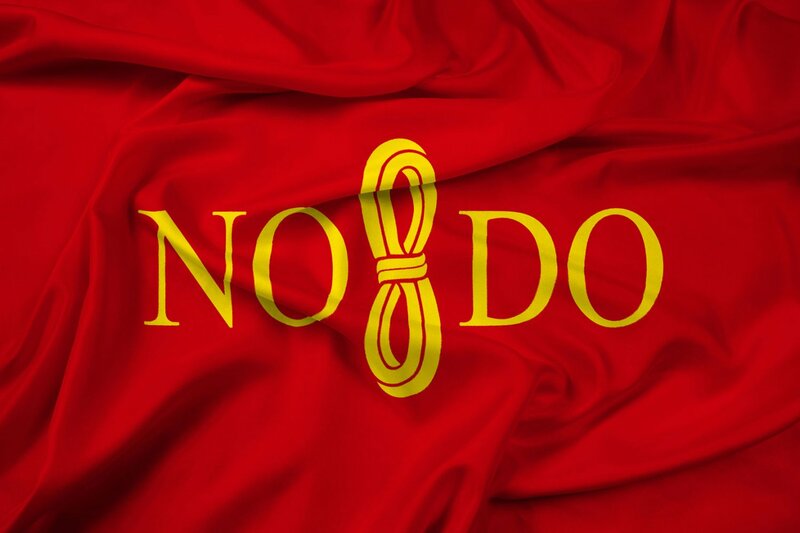 According to legend the secret code NO8DO was given to the city by King Alfonso X. You will catch glimpses of it all around the city and is said to translate to ‘it has not abandoned me’ (meaning the city of Seville). 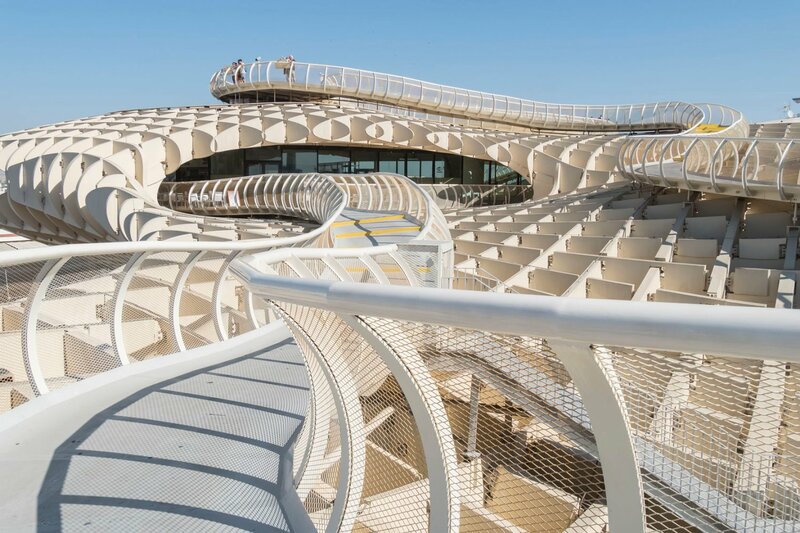 Designed by Jurgen Mayer the Metropol Parasolis claims to be the largest wooden structure in the world. Seville is blessed with year round sunny weather. In fact, there is an average of only 80 days of rain every year. It is also the sunniest city in Europe with very hot summers, reaching highs of 35°C. In fact, the highest temperature ever recorded in Europe was in Seville in 1881 at 50°C! Seville is a city of clean energy with a solar power tower providing clean and renewable energy to the city. In fact the tower is the world’s first commercial solar power tower with more towers planned. Famous across the world ‘Sevilla Futbol Club’ or simply ‘Sevilla FC’, is Spain’s oldest sporting club devoted to football. However they are no Seville’s only team. Some locals support Real Betis Balompie. Both football teams have a famous rivalry and often play each other in Seville’s stadium ‘Ramon Sanchez Pizjuan’. Thinking of a trip to Seville for the first time? Get in touch with our experts on 0800 047 1061 to find out more or ask about our other luxury city breaks.